Since 2009 it's been my hope that, you're able to find inspiration in the stories I share, learn from and discover new places through trip reports I write, and find awesome new gear you can't live without. The gear reviews shared on Adventure-Inspired are about products I've used or have worked with a guest reviewer to test. I believe in full disclosure, and in keeping with Federal Trade Commission (FTC) requirements, I'll always make it clear when products have been provided to Adventure-Inspired by a third party, or when I've purchased a product myself. It's also important that you're able to trust information about anything reviewed here, and that being said, I'll never give a product a good review if it's not deserved. I know you're capable of looking up product specifications, and I believe the best reviews are experiential, not a list of specs. I take great care when reviewing products; everything I receive is put through its paces. Guest gear reviews are edited for length, grammar, spelling and punctuation, but no guest gear reviewer is ever instructed to give a positive review. They're instructed to do the same thing I do - put the gear through it's paces, make it work hard, see if it holds up, see if it performs, and no matter what, be honest about what you think. The stories, trip reports, and musings are either my own and based on my own experiences, or are guest posts from folks I believe have a great story to tell. Just like most people who love to write, I know there are others out there with great things to say. If I do hear from someone with an amazing story or idea and they write a guest post for Adventure-Inspired, it'll be clear the piece was written by someone else. Guest posts are also edited for length, grammar, spelling, and punctuation. For all photos shared on Adventure-Inspired, they were either taken by me, or I have permission from the photographer to use them. If they were not taken by me, the photographer's name appears in the photo caption. I'm also experimenting with affiliate sales links in posts in which I mention specific gear, books, etc. If affiliate links bug you, that's absolutely fine, no need to click on them. If you have any questions, comments or concerns, feel free to send a note to katie@adventure-inspired.com. I love hearing from all of you! This blog accepts forms of advertising, sponsorship, paid insertions, or other forms of compensation, and arrangements for all specific forms of the aforementioned are made on a case-by-case basis. This blog abides by FTC Sponsored Post Guidelines and Google NOFOLLOW link policies. For sponsored posts or gear reviews, clear disclosure of compensation and/or complimentary products will be native content blended into the post. Product Reviews: I strive to produce and publish quality gear reviews related to products relevant to this website's audience. Prior arrangement is required to guarantee a published gear review here on Adventure-Inspired, and will be on a case-by-case basis. For products that are reviewed here on Adventure-Inspired, I promise to also provide engaging digital content and social media promotion of the review itself. In order to be considered for a complete product review, including a full post of original content and photos on Adventure-Inspired, the product or product bundle's value must be at least $50. The minimum lead time I require in order to properly test and photograph a product, and to review that product, is three weeks. If a specific publication date is required, prior arrangements should be made. Additionally, products are not returned after the review process is complete unless prior arrangements are made. In return for testing your product, I strive to provide honest and candid feedback. Products that are reviewed receive a full piece on Adventure-Inspired, including social media channel promotion. If the overall feedback is negative, I'll contact the company first to share feedback, suggestions for changes, and any other relevant information before posting a review. Sponsored Posts: Sponsored posts are occasionally accepted provided they include content relevant to the Adventure-Inspired audience. Sponsored posts can be written and provided for editorial review, written in collaboration with the Adventure-Inspired team, or written exclusively by the Adventure-Inspired team. I reserve the right to make editorial changes to, or reject, all sponsored post content at any point during the editorial process prior to posting. If sponsored posts are provided for editorial review or written in collaboration, photos are suggested as well. FTC Sponsored Post Guidelines and Google NOFOLLOW link policies still apply, and clear disclosure of compensationwill be native content blended into the post. 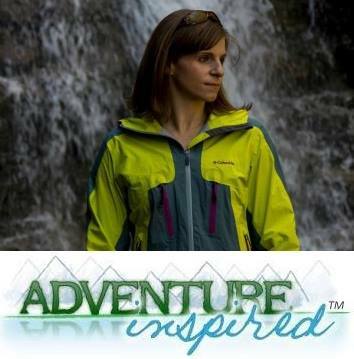 Questions, comments, concerns, and inquiries can be sent directly to katie@adventure-inspired.com. Happy adventuring!